As always, take this with a grain of salt, but the UK’s Auto Express says that amid declining sales for the TT sports car, the future of the line may be in “a more practical and profitable four-door coupe” that we could see in less than two years. 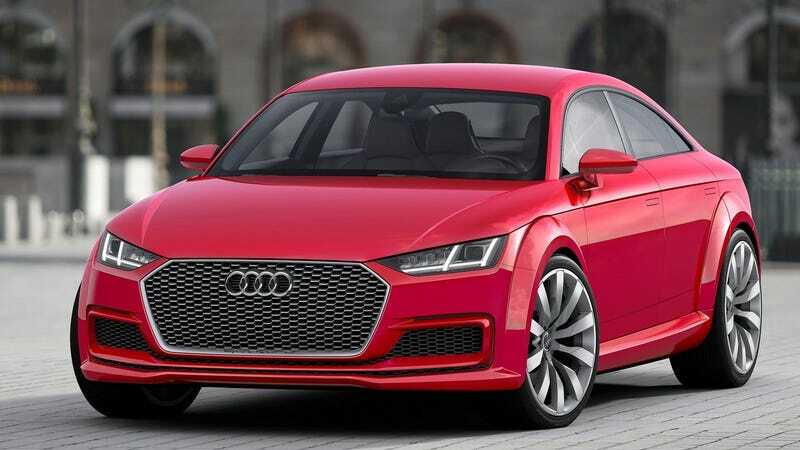 That four-door, presumably, will look a lot like the TT Sportback concept from 2014, given Audi’s tendency to keep good designs around for a while. Audi’s board has reportedly signed off on the plan. And here in the United States, sales of the TT are even worse. According to GoodCarBadCar, Audi only moved about 2,300 of them last year, which is better than some pre-update years when it hovered around 1,000 but still nearly half what it was a decade ago. Point is, the TT isn’t a volume-seller, and speciality cars—that aren’t SUVs with weird roofs, of course—are in decline across the entire auto industry. The trend is for vehicles to become bigger, taller and more practical. The TT can’t really hack it there. There’s also the issue of price and performance. The last TT I reviewed was $50,650, and it was nice and very fun to drive, but a lot to ask for a four-cylinder car with Volkswagen Golf underpinnings. The five-cylinder TT RS is a far more compelling proposition, but in general there are much better deals to be had elsewhere. The TT also has never looked as good as the one that debuted in the late 1990s, a design I consider to be among the all-time greats. So yes, going to a larger four-door design may not be the worst thing in the world, if this TT keeps the design and driving dynamics that it’s known for. Better than turning into another SUV, I suppose.